Marketing is viewed by many as a game of numbers. It has to do with the things you do towards ensuring that your products or services are in the faces of everyone, thereby ensuring visibility and awareness of your business. Like a typical marketplace, there are a lot of vendors trying to sell or render the same kind of service at the same time. When starting up a business, the first thing you will probably do will be to set up your business where you are likely to find most of your customers. This stance is what Digital Marketing has been able to break. With a bespoke 360o digital marketing strategy, businesses and corporate bodies can now achieve their immediate business objective – visibility and awareness. 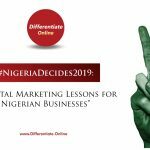 This article is to show you how and what business minded Nigerian entrepreneurs are doing to leverage on various digital marketing channels. Such channels are a corporate website, Facebook, Instagram, and Twitter. Growth in business has to do with the number of valued customers and increase in sales or revenue of the company. And thanks to the increasing reach of the internet, this kind of growth has been recorded by smart Nigerian business owners who have leveraged on digital marketing to sell nationwide. These days, you don’t have to be physically present all over the country to sell. Through the internet, customers can now read more about your company and see what other customers are saying about your products/services online. 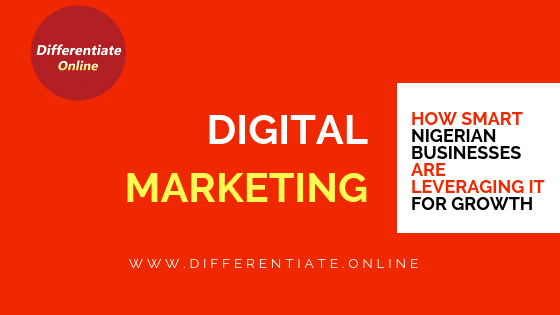 Digital marketing have helped businesses reach more customers, and build trust in the mind of their customers and their prospective customers. As opposed to the conventional visit to a company to make complaint or ask question, customers can now request or make any complaint anywhere they are, as long as they have an internet enabled device. This ease of interaction has hence made customers see them as the go-to partner for their everyday need. I remember having an issue once with my GoTV subscriptions and rather than burning call credits to speak to their customer service reps, I became creative. I sent them a Facebook message and the matter was resolved via chat. I saved time and money while they got to retain one more satisfied customer. When we say brand visibility, we mean a 360o digital marketing gives your business an all-round awareness. 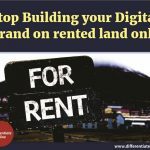 These smart Nigerian businesses have gone beyond their immediate environment and customers can relate their needs to them from anywhere in the world. We are not talking local alone, internationally as well! Imagine being seen by millions of customers as opposed to a few hundred of customers you might have. Being online simply allows more people see the products and services you sell. And depending on how your branding is, your customers can tell if truly you offer quality products and services or not. Often times business owners have lamented about high cost of printing fliers and media advertising. When a business is running on a fixed marketing budget, social media is the most cost-efficient way to market and promote the business. Social interactive websites like Facebook, Instagram, Twitter, etc., allow businesses to share their marketing content at no cost. Hence Social media is an affordable advertising platform that many Nigerian smart businesses are now leveraging on for growth. 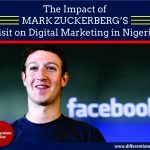 Smart Nigerian businesses who have come to adopt digital marketing now know how online traffic works. 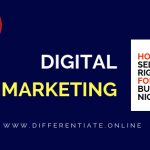 With over 25Million Nigerians (Male and Female) logging on to social media accounts daily, digital marketing have been used to target customers based on gender, age, demographics, interests, etc. Allowing for efficiency in terms of who see your products and services. Are you one of those who desire increase in sales, or tired of complaining about low sales? 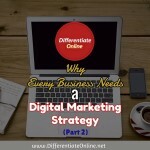 Look no further, your customers are online, and you are not targeting them. 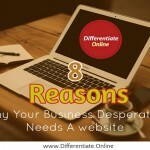 The more traction you get online the better your chance of making more actual customers. Click here to get started.